This post is sponsored by Pacific Foods, a brand I’ve loved and used for many years! Thank you for supporting the brands that keep The Kitchen Paper up and running! I’ll be working with Pacific Foods regularly this year, so keep an eye out for some delicious recipes using their wonderful products! That sounds like a tagline for a new breakfast show — clearly a fun one where everyone has kitchen torches and brûlées everything. Serious quesion: can you brûlée bacon? I sure hope so. But this is a tangent — we’re brûlée-ing (I am butchering all usage of the word brûlée! woops!) OATMEAL! With nuts! and berries! It’s summery and feels fancy but is actually very very simple thanks to Pacific Foods. 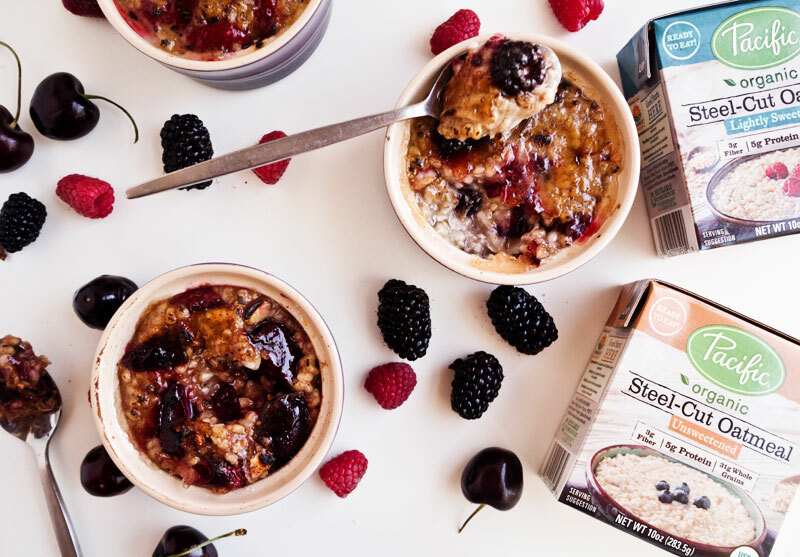 These recipes are pretty darn simple: take one of the delicious, organic steal cut oatmeals from Pacific — I used Flax & Chia, Unsweetened, and Lightly Sweetened — mix in your favorite fresh berries, nuts, and maybe spices! You could stop there, but: you could sprinkle it with sugar and brûlée it!! Then you have a crisp sugar lid ready to be cracked with your spoon! 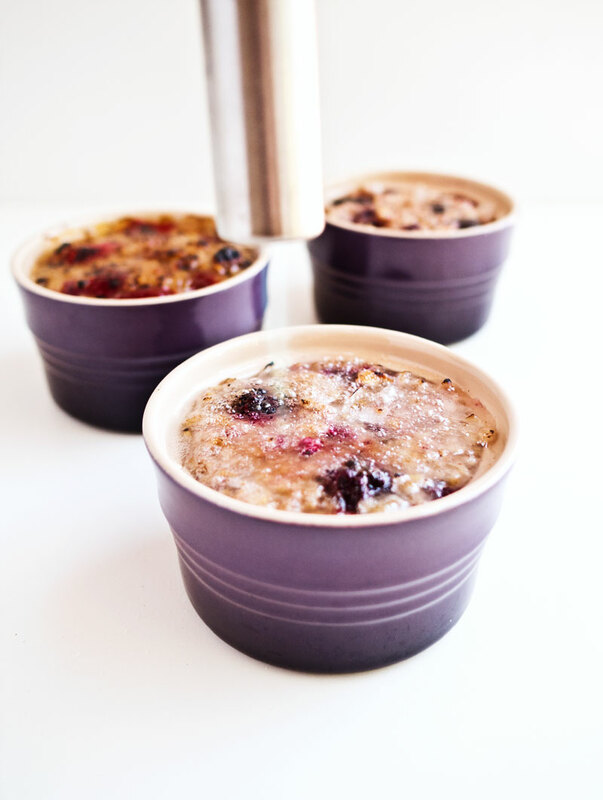 It makes breakfast a little more fun (and indulgent). 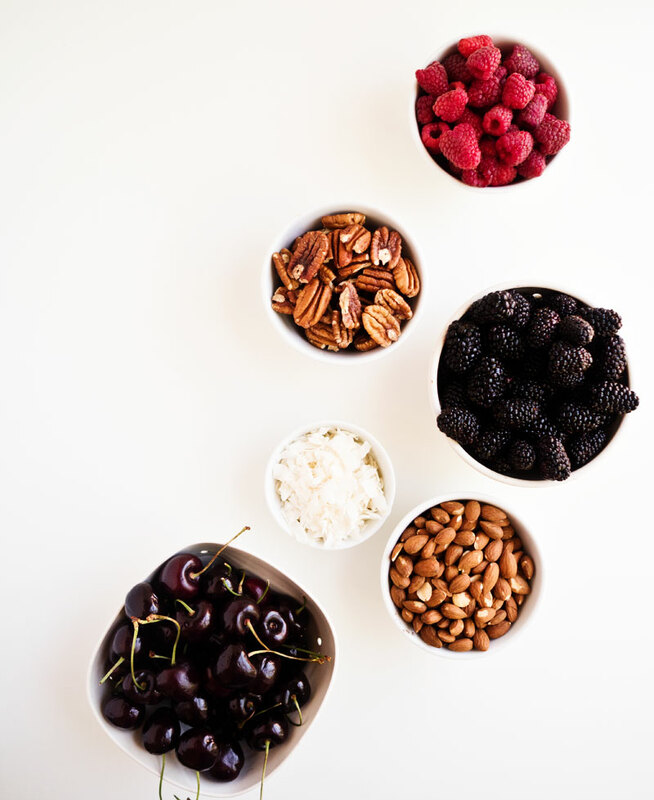 I did three combinations here: blackberry & coconut, cherry & almond, and raspberry & pecan. All three were awesome, but I think blackberry coconut was my favorite (and my favorite base was the flax & chia oatmeal!). What combo would you try? Let me know! Have a wonderful wonderful rest of your week! 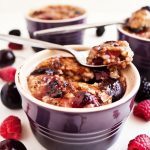 These three recipes for Brûléed Oats with Nuts & Berries use Pacific Foods Organic Steel-Cut Oatmeal as a base for your favorite fresh nuts and berries to mix into — then sprinkle with sugar and brûlée. 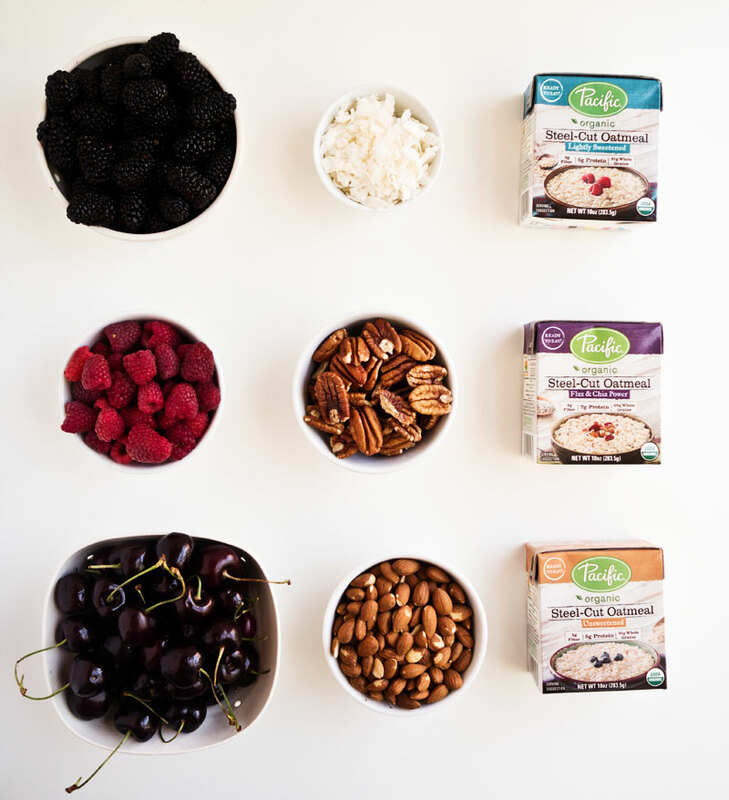 In a small mixing bowl, gently mix together your choice of warmed oatmeal* with your choice of nuts, berries, and spices. 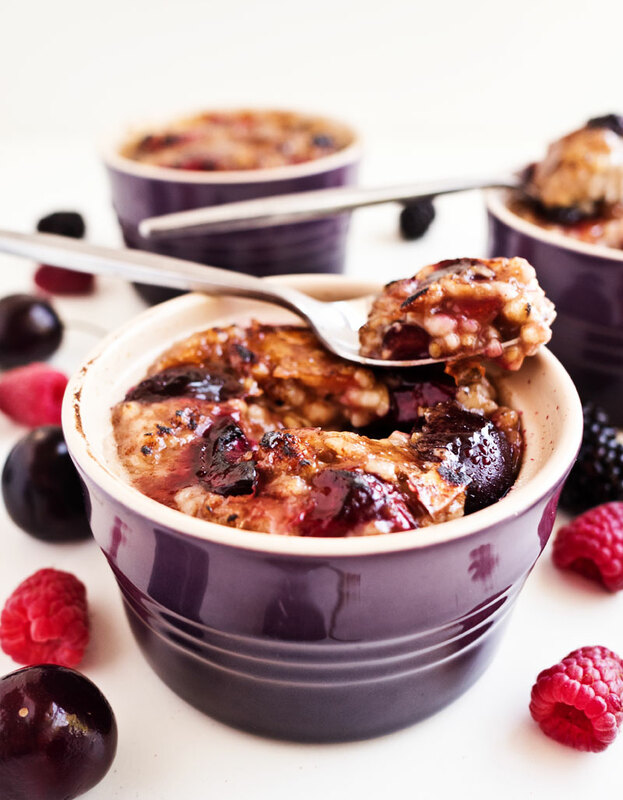 Divide the oatmeal mixture into two small ramekins. Spread the top as flat as you can — any bits poking up will easily burn under the torch. Divide the sugar and sprinkle evenly over the flat oatmeal surface. Use your kitchen torch to brûlée the sugar on top of the oatmeal until it’s golden brown. Enjoy warm! 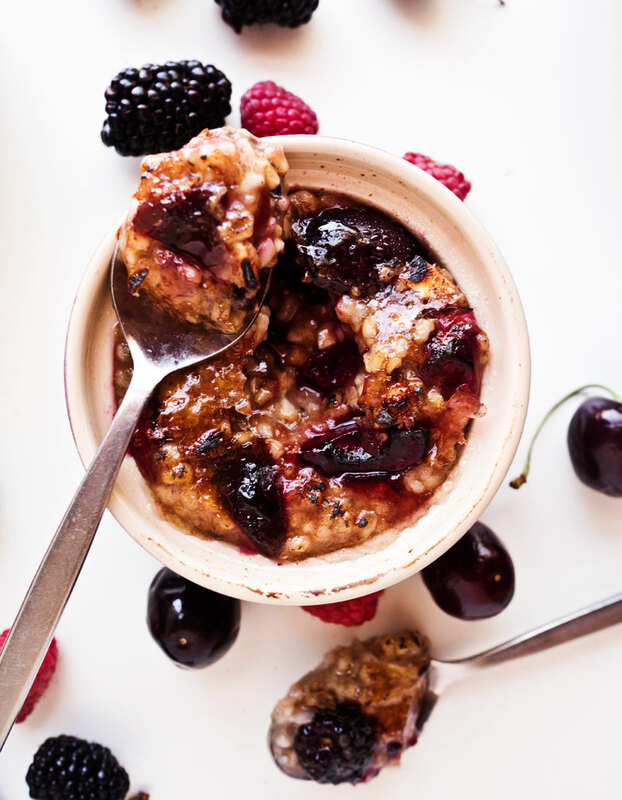 *Warming the oatmeal is completely up to you — I prefer to do it before I mix in the nuts and berries, and follow the directions on the package (microwave or stovetop). You could do it after mixing in the nuts and berries, or skip it altogether! This looks so yummy. At the weekend, I will make it to my familly!! !